Be a part of Montana’s solar initiative. Montana is known as big sky country, making the treasure state a sunny candidate for solar energy. While Montana currently ranks 39th for the most solar capacity in the nation (as of September 2016), it’s working to move up in the ranks. In 2015, the state spent $1 million installing solar and built enough to power 600 homes. If you’re interested in installing solar energy, you can be like thousands of other homeowners near you. Montana grid-powered electricity bills are the 47th most expensive in the country (number one being the most expensive, and 50th the least), and the 38th most expensive for kilowatt pricing. Since solar power offers energy as low as three cents per kilowatt and Montana’s average is 10 cents per kilowatt, there is an opportunity to save on energy bills (while also saving the environment) if you switch to solar. If you’re interested in finding out how much solar can save you, you can get a quote from a top solar company. You can also use Solar Power Authority’s cost calculator to estimate your savings in the meantime. This 30 percent tax credit is for all Americans who own their solar panels. While this tax break doesn’t apply to those who lease, finance, or have a solar PPA, it’s a great incentive for people to buy solar panels. You can browse local Montana solar incentives to see how you can save more in your area. You can get money back from your utility company if your solar panels produce excess energy that flows back into the grid. Again, this only applies to those who own solar panels, but some solar companies pass these incentives along to customers who lease or finance. Montana has 42 solar companies and SunPower is by far the best. With 600 patents for solar energy and a world record for the first solar powered plane, the Solar Impulse 2, SunPower is undeniably innovative. SunPower also offers unique design and efficiency to homeowners. Its solar cells produce 55 percent more energy than traditional solar panels, and are designed to make less of a visual impact on your roofline. 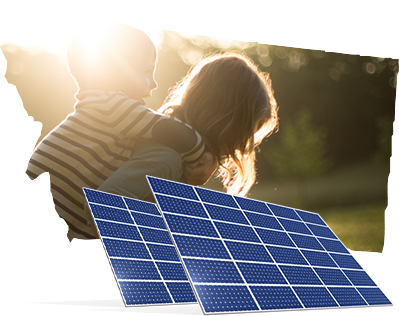 With SunPower, you’ll get more for less as well as high tech equipment that can save you money. Montana has had a bit of an issue with conflicting ideologies between utility and solar companies. In 2016, a longstanding rate was suspended, which required utility companies to pay solar companies $66 per kilowatt of solar energy. While this is good for those who aren’t on solar power (because cheaper utility prices mean cheaper bills for customers), it’s discouraging for Montana’s solar initiative. Despite the squabble, solar energy still only costs about three to nine cents per kilowatt compared to electric’s 10 cents, so savings opportunities are still ripe for the picking. Montana spent $1 million installing solar capacity in 2015. The state installed 480 kilowatts of solar capacity in 2015—ranking it 44th nationally. Montana is ranked 39th in the country for solar capacity. Montana has 4.5 megawatts of solar capacity, which is enough to power 600 homes. 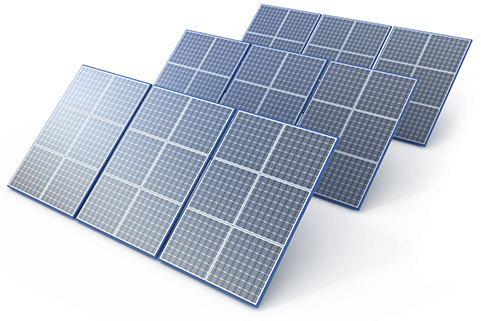 Photovoltaic cell prices dropped 66 percent since 2010. This is the organization that regulates the state’s utility companies. Visit the website to read up on current agendas that could affect your solar costs. Get in touch with lawmakers who control solar legislation. Check out state solar policies, statistics, and initiatives. Find local utility rebates and incentives that could positively affect your utility bill. Look at energy usage on a national scale with statistics and more.